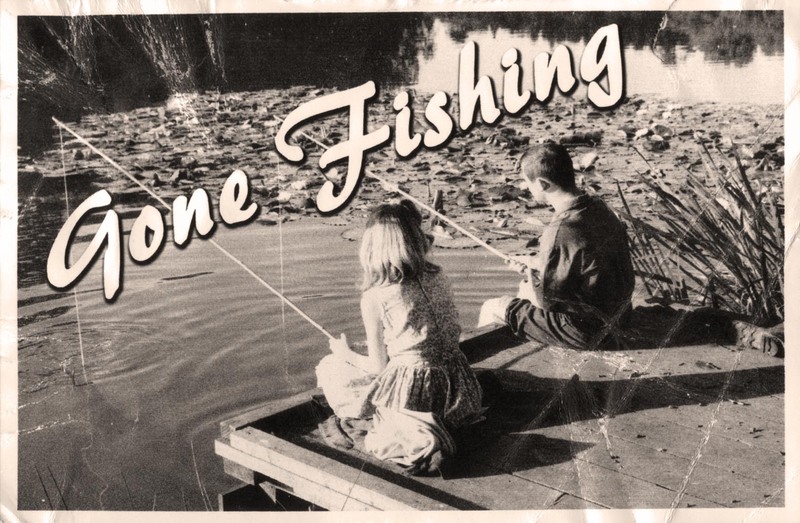 Gone fishing… see y’all when we reopen back up on Wednesday, Aug 23rd. Count down the days!! 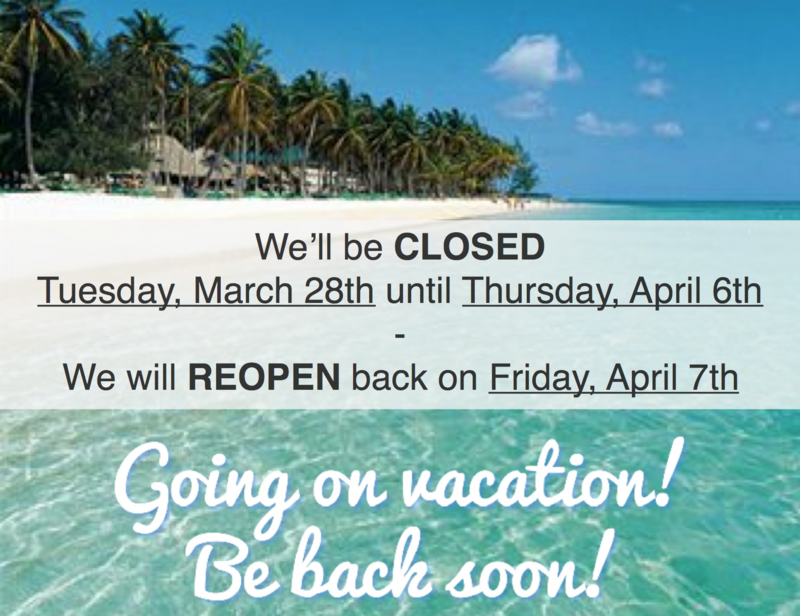 We’ll be going on vacation from Tuesday 3/28 – Thursday 4/06 and will be closed that week. 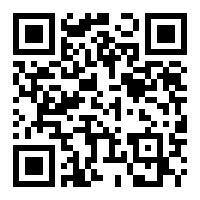 We will RE-OPEN on Friday, 4/7. We’ll miss you, but we’re ready for some down time. See you all when we get back! Special thanks to The Charlottesville 29 for the most recent feature on their site, and to Ivan Rekosh of ZoCoLo for the kind words! 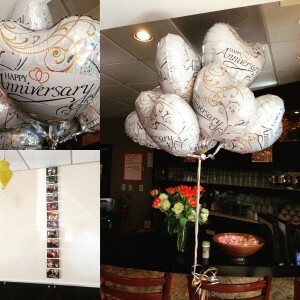 Today is our one year anniversary! 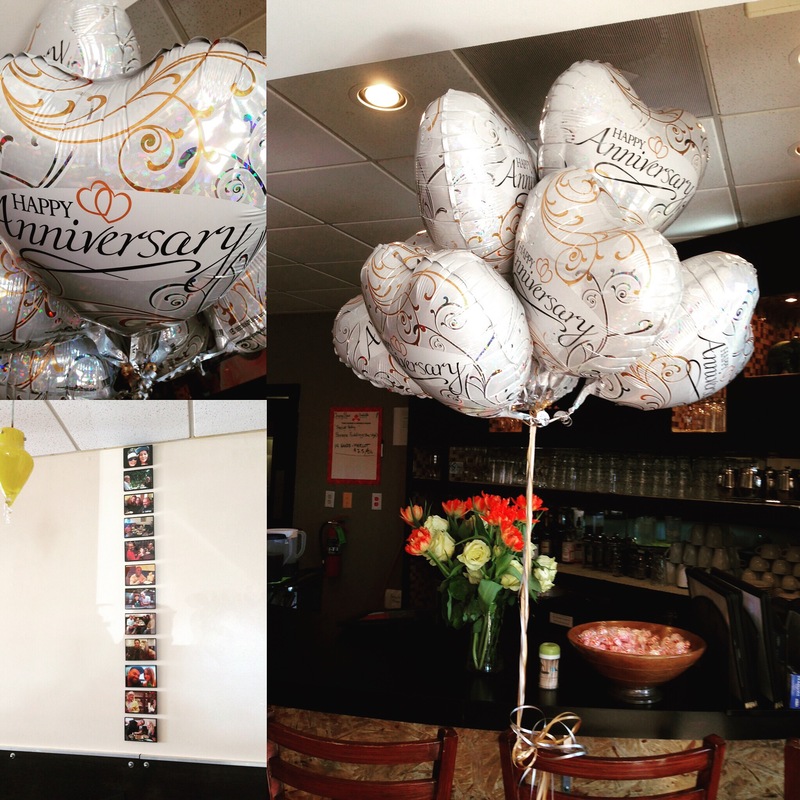 Thank you to everyone involved, from our amazing staff to our wonderful and loyal customers. We would not be here without all of your support and we hope to continue to bring you the best in Thai cuisine that we can. Here’s to another trip around the sun and hopefully many more! Kap khun Mak!!!! C-ville Weekly: Our 1st bit of press! Ever since the short-lived Moto Pho Co. closed its doors in March of this year, we’ve had to either trek to Richmond for a bowl of the hearty rice-noodle soup, or just settle for generic pan-Asian broth with noodles here in town. 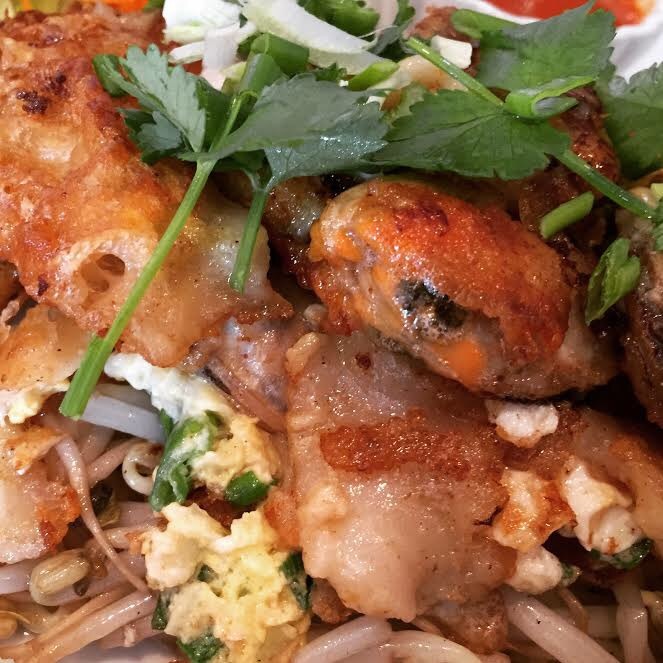 But as of a couple weeks ago, a new restaurant near Stonefield is serving up the classic Vietnamese favorite. 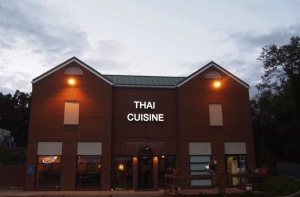 Thai Cuisine & Noodle House is a small, casual restaurant tucked away in the Village Green shopping center, just west of Stonefield at the corner of Hydraulic Road and Commonwealth Drive. Bangkok native Pong Punyanitya, who’s also the former owner of Thai 99 II on Route 29, said he saw a void in Charlottesville’s food scene that he was eager to fill. A full page of the extensive menu is dedicated to noodle soups. 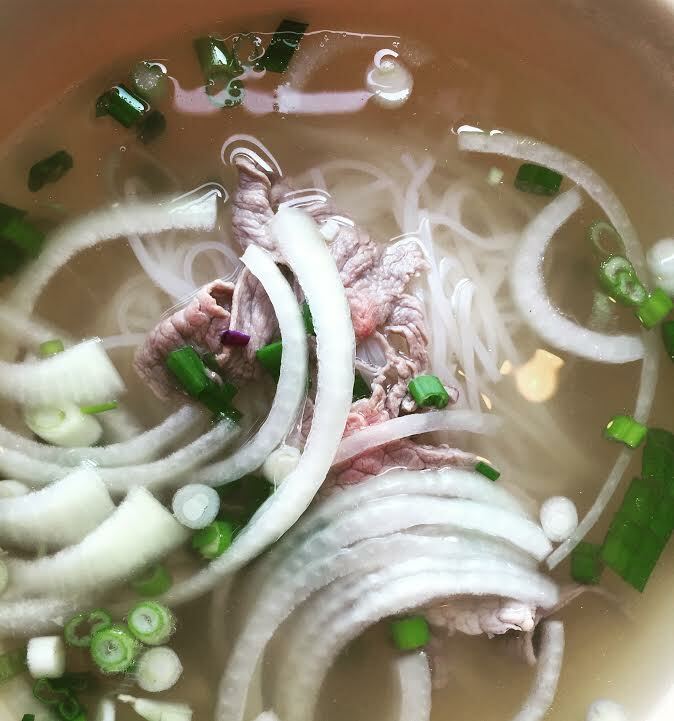 Pho, the clear soup with rice noodles served with a plate of fresh bean sprouts, basil, jalapeños and lime, is traditionally made with beef broth. Thai Cuisine offers 17 types of pho, all of which were created by a local friend of Punyanitya’s from Vietnam. Most of Thai Cuisine’s pho is beef-based and features some combination of eye round, flank, brisket, meatballs, tendon and tripe. There’s also chicken, tofu and seafood pho. On the same page is a list of Thai noodle soups, which are more versatile. Guay tiew nam yum comes with either chicken, beef, pork or tofu, a choice of thin or wide noodles, and minced pork, bean sprouts and chopped peanuts in tom yum broth. Punyanitya and restaurant consultant Pim Little, who’s also from Thailand, could go on for days about their favorite Thai dishes, only a fraction of which can be easily duplicated in the states. But they’re hoping it’s the pho-nomenal soup that will bring customers through the door. We are official open as of Monday, October 20th! Please come by and “Thai” us out. 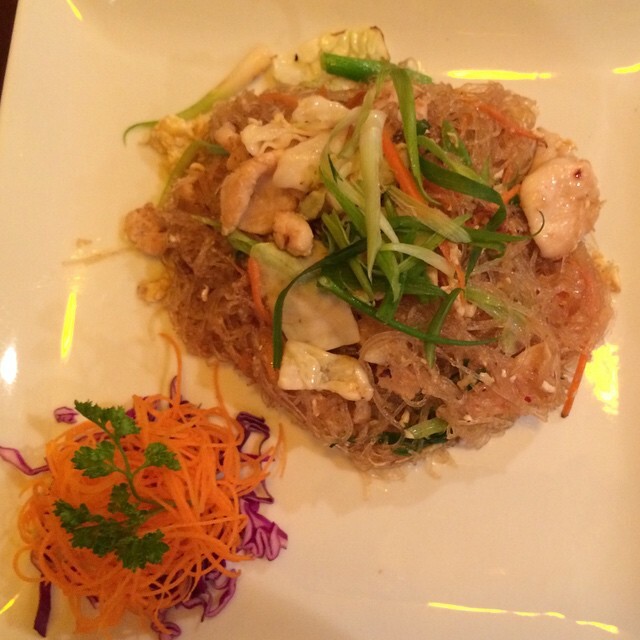 We have an extensive menu including a lot of great noodle dishes like this Pad Woon Sen below! Copyright © 2019 Thai Cuisine Cville. All Rights Reserved.